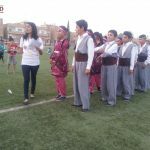 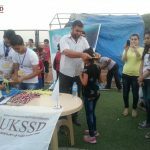 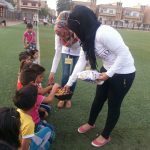 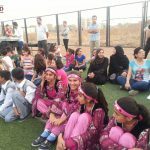 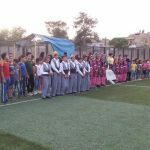 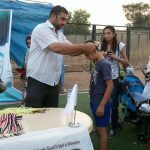 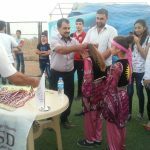 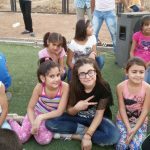 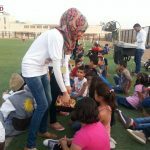 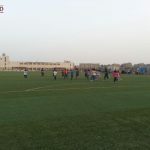 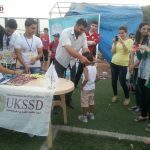 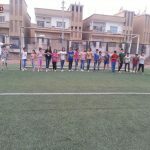 Racing event for children | Peace Days | Qamishli, Syria – DOZ e. V.
Sports can be used to promote education, development and peace, fostering health, joint work and integration on a local, national and an international level. 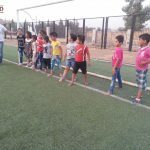 When basic values of sports, such as teamwork, discipline and respect for the opponent as well as for the rules of the game, are observed by the players, it strengthens social cohesion and peaceful coexistence. 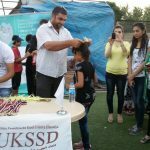 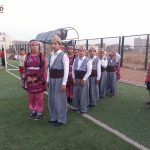 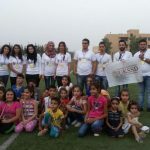 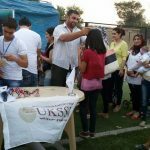 On the occasion of International Day of Peace on 21st of September, the Union of Kurdish students in Syria and Germany (UKSSD) organized a Run for Peace for children in the city of Qamishlo. 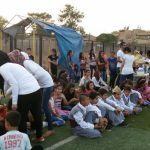 The run was split into two groups, one for children aged five to nine, another one for children in the age of ten to 15 years. 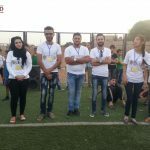 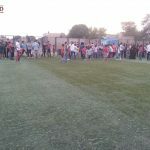 The event took place in the stadium of Qamishlo. 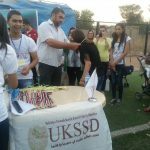 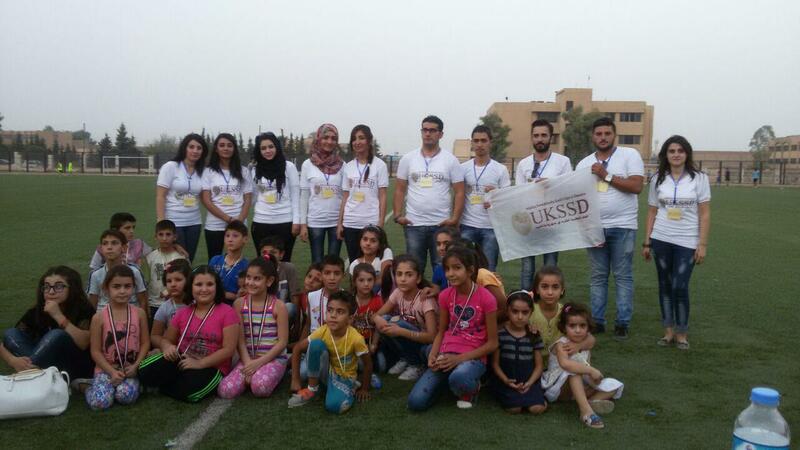 For this, the UKSSD invited many children with their families, to take part at the Run. 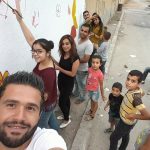 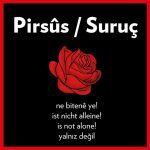 The major part of these families come originally from Qamishlo, whereas the other participating families are refugees from cities all over Syria, such as Aleppo, Damascus and Deir ez-Zor. 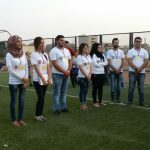 The aim of this event was to bring children from both groups (citizens of Qamishlo and refugees from other parts of Syria) together and to give them the opportunity to get to know each other and to make friends, in order to strengthen mutual trust, friendship and social integration. 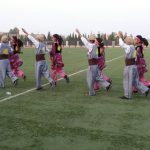 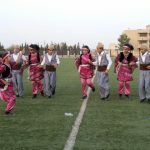 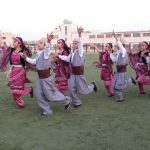 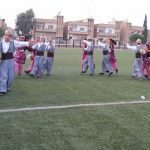 Moreover, the dancing group “Roj-Halat” took part at this event, presenting various dances. 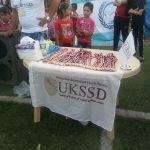 In the end, the children were decorated with a peace medal. 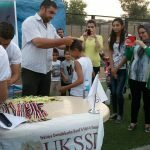 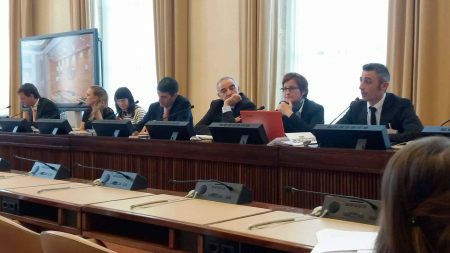 Sports are an important basis for a healthy society and can be seen as a chance to facilitate a community spirit and an exchange of abilities on the basis’ of human rights and mutual respect, without anybody feeling disadvantaged. 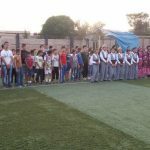 First Mesopotamian Water Forum Announced for Sulaymaniyah March 2019 – Call for Contributions!